– V1 Limited features but works very well, rarely jams. 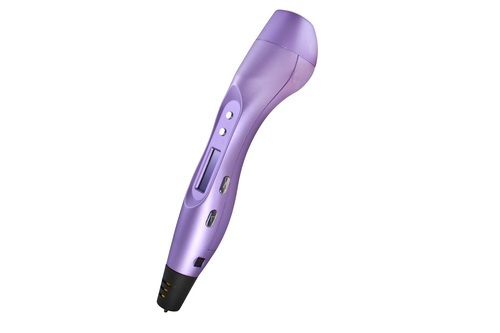 dispenses plastic faster than the 3doodler, more speed options, faster load and unload, smaller design. – V2 which added some cool features such as a display, temperature reading, auto sleep. – They are reliable, jam WAY less than other 3d pens like 3doodler, have 5 to 6 speeds instead of 2 and have the ability to push plastic out much faster. – Plastic refills are 4.5x cheaper than 3doodler plastic making it affordable to buy every color plastic! 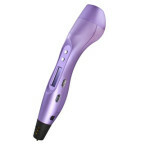 – Scribbler offers a 6 MONTH warranty and FULL RETURN policy so you know your getting a great product. 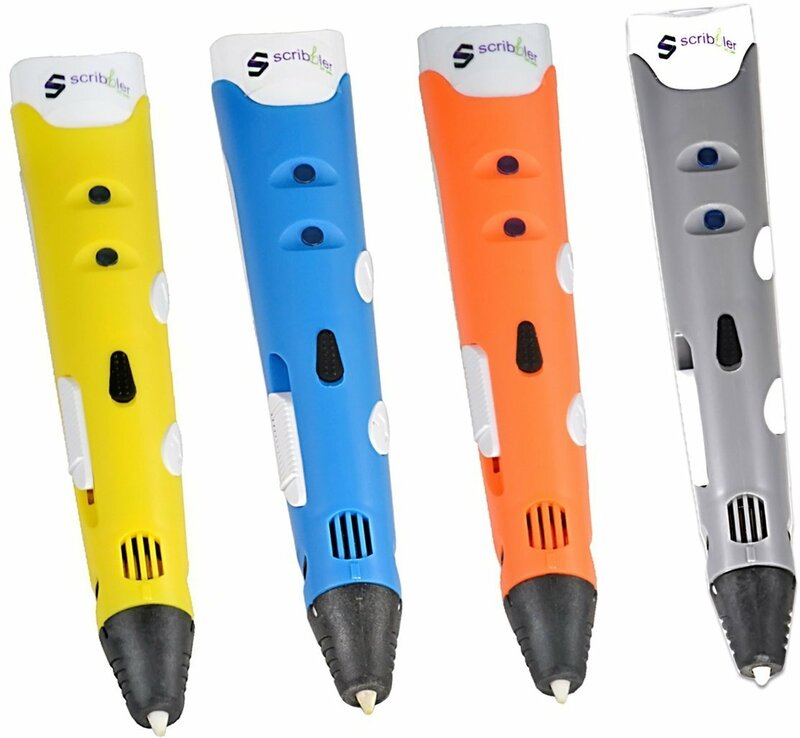 – While there are several companies re-brand and sell similar Stereoscopic pens that look similar on the outside however they use cheap parts inside so Don’t by cheap versions, buy a scribbler pen. 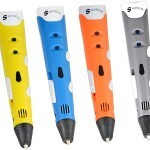 – Also Scribbler now sells 3d pens globally and ships fast! 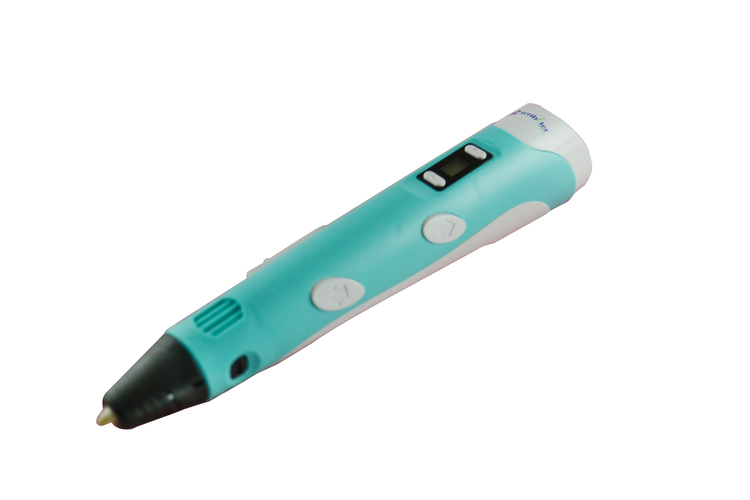 Want more information about 3d pens? Check out my ULTIMATE 3d Printing Pen Guide: CLICK HERE! 273 Comments on "Scribbler 3D Pen Review"
hi official rainbow girl I want the 3d pen because i love drawing I just love love to draw so I hope you pick me:). I want a 3d pen because I make things for charity, and it will help me make more things to give to them. I hope you pike me. I love your art work. Thank you. I love your name,I love your projects,I love ALL ABOUT YOU!!!! I hope I win because I REALLY want to make my sister happy and get one for her. I love your channel!! You do altoy of cool stuff. ly i realy want that pen i would love to explore how it is to write in the air and of course to make beautifull creations. btw your hair is amazing, even as you are an you channel, creations and your videos. I am your biggest fan! But unfortunately I live in Australia so I can’t meet you… you make the best videos where you explain the 3D pens in detail and outline the key features! I appreciate your hard work but can you please do a review on the MYNT3D pen because no one has ever reviewed it! Thanks, and keep up the stunning videos! But I would also love the pen! My email is jeffersonrho@gmail.com.. Thanks! I want one because I have been watching you for at least a year and the 3d pens look really cool my favorite creation you made was probably the giant angler fish or what ever it was it was really cool to watch and was so colorful. I also would like one because Christmas is coming up and I don’t know if I’ll get much because of my bday. BTW I love purple so I hope I get the purple one, if not that is fine thank you for reading and ILY!!! A 3d pen would be really nice for me and my family so that we could build and creat things together. I have my two little kids that are still building their creativity, and a 3d pen would improve their growth. I want a 3d pen because, as a engineering student, it would be awesome to build my own projects and practice everything I learn at the university. i want a 3d pen because it’s sooo cool and inspiring. Just the fact that you can do anything with your own crativity, amazes me so much that i want to make art too! Please can I have a pen for Christmas. My parents let me enter the giveaway !! I want one becuz’ my parents say it’s too expensive and they cannot afford one in the next 5 months..I hope I get it! I want one because last Christmas I got one but it’s nearly broke! And nobody in my family has anymore money to afforrd anymore. Heyooo! I really want a 3d Pen cuz’ I can’t get one since they’re so expensive! THAT’S LAME -_- But my parents gave me permission to enter this giveawayyyy! 😍 I hope I win it since I the great Queen (Kinda Undertale here xD) really love to be creative!! And make spaghetti. Probably I can make spaghetti with the 3d pen too o3o But it’s sadly not edible xDD Welp Bye I hope I win x33! I want a pen because I would like to give it to my sister for Christmas. that space ship is rad i am very interesting in 3d printing. hope i win! Uh hi. If I won the pen, I would be able to make cool things. I could show them to my friends and make all sorts of cool stuff! I already have tons of cool ideas of things to make! I would love the opportunity to own and use a 3D pen, as a college student studying engineering and industrial design, it would be extremely beneficial to own as my school does not have 3D printers available to students. It would be amazing to simply draw my prototype for class, rather than send my design to a company (and pay a significant amount of money) to only find out it doesn’t work and have to do more designs and spend even more money. Howdy! This blog is awesome, will definitely take your suggestions into consideration. Considering how talented you are with 3D pen art. It’s nice to only have to come to one site to compare Scribbler pens, thank you for posting videos and inspiring others through them! I woulf like to have a 3d pen due to the fact i would love to impress my teaches and others with my artistic skills. I would also use it to help my friends with projects and so forth. It’s not simply a 3d pen, it’s a horizon breaker. The first time I saw your videos I couldn’t stop thinking about the possiblities and hapiness this little pen brings with it. Like helping children build their imagination, or elders fighting degradative deseases. Well, the thing is, one 3D pen can change one life a lot, and I will make it change others too. Hello! I really love your videos and you inspire me so much!!!! I want a scribbler 3d pen, so i can make amazing things too! I would really like to win this pen because the only other pen I have the is the 3doodler start, wich is not a bad pen, but I would like to try new pens and expand my collection as well as getting better at 3D pen art.😸🎄Your channel is my go-to 3D pen channel. Hey Official Rainbow Girl, I really enjoy your videos on 3D Pens and I like your blog on the pros and cons about each pen. I remember seeing these pens when they first came out and wanted one. I would LOVE to try these pens myself and incorporate them with my Fashion Designs like making buttons, faux pockets, whimsy details and more. Thanks again for sharing your talent & views. Have a colorful bright Holiday & New Year! I would really love to get a 3D pen because wile I was creating my brothers Christmas gift, (it was a 3D froakie which is a Pokémon, he loves those) my 3D pen stopped working. Now whenever it is ready to go and I press the filament feed button, the pen just turns off! This is super sad and my brother is really dissapointed. That’s why I want a 3D pen. Hey!! I’ve been watching your videos for I think about a year now! I remember because I asked for a 3D pen for Christmas last year, and my birthday this year but yeet I didn’t get one but no big deal. Of course I don’t “need” one, but it’s an expensive gift I’ve been wanting and haven’t been able to buy. That aside, I think you’re so awesome and creative and I love whenever a new video from you pops up in my subscriber list. You’re an inspiration (: thank you!! Can create amazing sculptures and creations while having lots of fun. It would give me something to do and I can make so much with endless possibilities. It would make a great Christmas! i would love to have a 3D pen so i can create lots things and it wold make the best Christmas ever. I would love the 3D pen because it seems really fun to create things and it would be interesting to see what I could create with it. I would love to win the pen so I can create beautiful pieces, just like you, and inspire others to do the same. I really want a pen because it would be awesome if I could draw amazing things like you do. I also coild make things for people or even make stuff for you and send it to you it would be amazing I love your vids girl😜!!!! And I did all the steps!!! Hi, I have A 3Doodler but it jams every time I use it and every time i see your videos I get inspired to make AWESOME creations but am unable to do it because of the annoying jams so I really hope I get it!? I always watch your videos, and always wanted a 3D pen to make creations just like your’s and even follow some of your creations, I especially like your minion. I want a 3d pen so I can make all the cool ideas I have in my head but have never been able to make. Please, I really want 3D pen. I love trying out different things and do art and stuff. I would to a lot of Xmas and house decorations. All those Your and other Youtubers videos doing things with 3D pen make me so jeaous.. I´ve never seen them to sell in my Country and From internet it´s going to be way toooo expensive. Pen itself is expensive and shipping pay to my country is crazy I tweeted Your video! https://twitter.com/PiziAssu/status/805534899780337664… You are awesome and keep on going! Sorry for mistakes, english is not my motherlanguage. Greetinz From ESTONIA! Hello, I would love to get the Scribbler V3 3D pen to expand my artistic talent. It would make a great Christmas gift. I want a 3D pen to make tiny hats for my shopkins. Hello!! I would absolutely die if i were to win a 3d pen from a talented artist such as yourself haha. I have been doing all kinds of art for as long as i can remember, and i have never been able to afford a 3d pen but i wish the best of luck to all who entered!! hello rainbowgirl i like unicorns because they eat rainbows and poop butterflies! I’m a sculptor, but I want to study civil engineering. 3d pens used for art like you do is really cool. I want to explore a more structural side with a 3d pen. Thank you for making the things you make! The 3D pen would be the best Christmas gift for my little sister. Hey, I would love to win this pen and draw in 3D something half as great as your drawings give me a chance? Hi there! I found your channel just a year ago. Its been so long, and I’ve followed every video you make. (Don’t worry, I’m not a stalker.) When I saw the giveaway video you posted a week back, I was so excited. I didn’t win, so I hope can this time. Even if I don’t win, its really okay. The holidays are near, so maybe I’ll get the pen as a present. Anyways, don’t forget to be rainbow! I would love to have a 3d pen so that I can build amazing creations like you and you really inspire me to do cool things that you do and by the way your car is amazingly beautiful. Hi!! I would love to have this pen. I’ve been watching your 3D pen videos for a while now and I’m always amazed at your creations and I want to try for myself! Hello Rainbow Girl! I really want a scribbler pen so I can create awesome art and also so I can create really creative gifts for my friends and family! Hello rainbow girl! I want a scribbler pen. It started like 2 years ago. I was just chilling on Facebook. But, I saw a video of a weird pen, a 3d pen! Then I started to do some research about this thing a little bit later and I found you ! With your amazing YouTube chanel! Since this, I want a 3d pen to do artistic projects and share them with the world, like you ! Id love to win a 3D pen. My son would love it for Christmas. Hes into art and different crafts. Id love to see all the amazing things he could make. Thanks for allowing me to enter Rainbow Girl. Hi! I would love to have that pen because I really like to make things with glue gun, and it would be so cool to do it the same way as you. (By the way, I love your hair). Thanks for a chance to win, and good luck everyone! Hello rainbow girl or other people i hope i get a 3d pen because i wanted it for Christmas but i can’t afford it i will like to show all the creation i can make in 3d. I love your channel I am watching your videos for nearly a year.I want this pen I love making 3D things, I wanted to buy the 3Doodler Start but I hose Scribbler and I think I’ll win! I read that Scribbler uses cheaper plastic which is available in my country and it is less jam. I like your videos. I want this 3d pen because it would be great to have before Christms, so I could draw my family cool 3D things during my Christmas party. Also so I could draw my self cool 3D things to take to school to show people and so I can show my family what I made. I really want the 3D pen. Thank you! 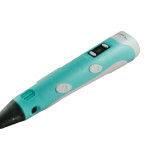 I want the pen because: I got the 3doodler 2 for christmas and I only got to use it for less than a week. Then It just stopped working. Also how you said with the scribbler they jam way less and have longer plastic whivh would be sooo nice. I want a 3d pen because I got a v3 but it broke but I didn’t get a refund and my pen broke the Same day I got it so I hope I’m one of the winners !!!!!!!!! I want this pen because it would be really fun. My uncle is an engineer and he’s really good with 3D printers. If I win the pen, I can show him it and he would think it’s really cool. I could give things to my whole family! I really want a 3D pen because I could make really cool things! I used to have a 3doodler but it broke so I really want to get back in the flow of creating things. If I won, I would let my whole family try it out and we would all have fun! My 3 children and I really love to win…we love your creations, and style :-)..so much fantasy…I don’t work, so we don’t have a lot of money, we made school at home because I want my children to keep unafected their creativity, their imagination, their own personality…to make a better world.. I want a 3d pen because my old one got jammed on the tip and I can no longer fix it. I want a new one but my parents are having a slight problem with money, they want to buy it for me but they don’t have enough money. The scribbler looks awesome! I’ve watched just about every one of your 3d pen videos and the scribbler always seemed to work best. Your poppy was so good (and all your videos in general)! If i don’t win i’m definitely going to buy a 3d pen of my own. Hi! I have wanted a 3D pen forever! I think they are so cool and how you make stuff with them! Also, I like to draw so, I think this would be an awesome way to draw but in a different perspective. I hope I win! It would make my wish come true! Good luck to everyone!!!! I think I want the 3D pen because here were I live (Brazil) we don’t have this stuff and I see your videos every day and I wanted this! i have shared your video on my page. love all your channel and your videos! keep up the awesomeness! P.s. I wrote this cause I forgot to say why I would like it. I really want a 3d pen I’ve wanted one since the 3doodler kickstarter but my dad says it’s too much and my mum never gets me anything. My birthday is coming up and I would really like a pen!! I want a 3d pen because then I want to create alot of cool things but I don’t have enough money to buy it myself. I really want a 3D pen as then I can push the limits of my creativity and make more awesome things, like you! I really love this blog, it’s really helpful when comparing the pens! I’m not a good drawer, but, you know, I can only get better ! Receive a 3D pen for Christmas would just make me feel an extreme joy! So please ! I’ve made everything you wanted (like suscribe and share)! I watch all yur vids and I am getting the 3doodler create for Christmas cant wait!!!!!!!!!!!!!!!!!!!!!!!!!!!!!!!!!!!!!!!! I would like a 3d pen fro my little sister, but i do not have enough money. Hope i win this for christmas. Good luck to other people.